As a part of our mission to advance and advocate for mineral owner interests through education and outreach, CAMRO presents information that mineral owners may not have seen. The Colorado Alliance of Mineral and Royalty Owners estimated that 85 percent of “non-federal land would be unavailable for new oil and gas development.”"
"As a lawyer, engineer, and mother, I care deeply about education. I am far from alone, of course. Education is a daily kitchen-table issue for families, a critical focus for the business community, and a top-tier issue for our elected officials and public servants. There is room for debate over the best ways to provide high-quality and affordable K-12 and higher education in Colorado. There are disagreements over how to pay for it. But this much is clear: We cannot afford to take existing sources of education funding for granted. One of those funding sources is oil and natural gas production, and recent data from the Colorado Association of Mineral Royalty Owners helps illustrate the critical role it plays." "The Colorado Democratic Party is endorsing the ballot initiative. But Democratic leaders, including Gov. John Hickenlooper and U.S. Rep. Jared Polis, who is running for governor, oppose the measure. Opponents of the initiative say it would deprive a potential source of income from landowners with mineral rights. Salazar, who expanded national parks and wildlife refuges and championed utility-scale renewable energy projects while serving in the Obama Administration, is now a partner at a Denver law firm, WilmerHale, where he has represented Anadarko Petroleum Corp. The company owned the leaking pipeline that caused fatal Firestone explosion in April 2017." "Ninety-four percent of nonfederal land and 61 percent of total acreage would be off-limits to drilling and related activities in Colorado's five top counties for oil and gas development under a proposed citizen setback initiative, a state agency says. Analysis by the Colorado Oil and Gas Conservation Commission finds that locally, Initiative 97 would prevent oil and gas development on 99.8 percent of private lands in both Garfield and Rio Blanco counties, which rank second and fourth respectively statewide in oil and gas production. But the measure's overall impact on the two counties would be far less because it wouldn't apply to federal land. It would prevent drilling on 37.7 percent of all lands in Garfield County, which has 62.2 percent federal land, and 26.6 percent of all lands in Rio Blanco County, which has 73.4 percent federal land, according to the analysis." “It’s not just mineral owners who have a lot at stake if something like Initiative 97, which would enact 2,500-foot setbacks and eliminate oil and gas development on 85 percent of non-federal land, passes. All of Colorado should be deeply concerned about the impact the initiative would have on our communities and future workforce,” said Neil Ray, president of CAMRO. “Colorado’s schools would face extreme financial hardship. Our schools already have experienced budget cuts. Can they withstand additional hits financially? Our students deserve better.”"
"Well, this has to be the strangest blue on blue violence we’ve seen in a while. The Colorado Alliance of Mineral and Royalty Owners (CAMRO) issued a press release today showing that Colorado’s public schools could “face extreme financial hardship” if Initiative 97, a potential ballot measure to expand drill site setbacks to 2,500 feet from occupied buildings, passes. So, which God to pray to, Democrats? Public schools or the environment? 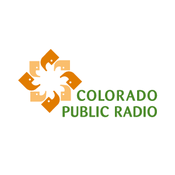 Through a Colorado Open Records Act request, CAMRO uncovered the fact that since 1980, Colorado’s public schools have received more than $560 million in revenue from the Colorado Land Board’s interests in the Wattenberg Field alone. According to the way Initiative 97 is written, operating wells will still be able to produce, but new exploration within the setback areas will not be permitted, nor will operators be able to re-open capped wells in those areas. The ballot measure could prevent the state from taking advantage of new technology in oil and gas development." "Then, there is the cost to compensate mineral owners for the government preventing them from developing their property. A recent study published by the Colorado Alliance of Mineral and Royalty Owners, or CAMRO, found that banning oil and gas development could cost cities and counties billions. That would bankrupt local governments. That’s not what radical environmentalists are going for…is it?" "If passed, local control measures and upcoming ballot initiatives like Initiative 97 would put a stranglehold on mineral development here in Colorado. That not only poses a threat to our economy — a 2017 PricewaterhouseCoopers report found that the natural gas and oil industry in Colorado had an economic impact of $31.4 billion dollars in 2015 — it deprives mineral owners of their property rights. Even worse, governmental entities that ban oil and gas development, or engage in a de facto ban on oil and gas development like Boulder, could bankrupt their city, county or state. Mineral rights are the same as property rights and these entities could be on the hook for up to $26 billion in royalty compensation to mineral and royalty owners. In Colorado, mineral rights carry as much weight as surface rights. A ban on mineral development would be akin to a homeowner being told that his or her home would be torn down to make way for a new highway with complete disregard for their property. Any person would be horrified by that situation, and we should be equally disturbed by similar restrictions on energy development." Neil Ray, president of CAMRO, joined Gail Fallon on her podcast, "Mornings with Gail," Friday morning to discuss the Netherland, Sewell & Associates evaluation on the fiscal impact if Initiative 97 passes. On the 15 minute segment, Neil further explains where the estimates come from and addresses the arguments proponents of the initiative are stating in response to the study. "A study commissioned by the Colorado Alliance of Mineral and Royalty Owners (CAMRO) finds that implementing policies or ballot measures that would effectively ban oil and gas development in in one of Colorado’s most productive oil fields would strand a “staggering” $180 billion worth of resources and cost mineral rights owners as much as $26 billion. 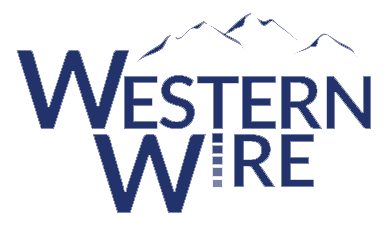 “The biggest takeaway is the staggering dollar amount,” Colorado Alliance of Mineral and Royalty Owners (CAMRO) president, Neil Ray told Western Wire. Initiative 97 is a proposed ballot measure that seeks to increase oil and gas operations setback requirements to 2,500 feet. The Colorado Oil and Gas Conservation Commission (COGCC), previously studied this back in 2016 when a similar ballot measure was looming." "An oil and gas advocacy group is warning Colorado taxpayers they could face billions of dollars in compensation claims if voters approve tough new restrictions on where wells can be drilled. The Colorado Alliance of Mineral and Royalty Owners (CAMRO), which represents individuals and corporations that own oil and gas rights, wants to kill a proposal that would increase the minimum distance between new wells and occupied buildings to 2,500 feet. The current minimum is 500 feet. The industry’s latest effort came June 12, when CAMRO released a commissioned cash-flow analysis of untapped minerals in Colorado’s Wattenberg Field. The study valued future oil and gas production at nearly $180 billion — $26 billion of which would come in royalties for private mineral owners alone." 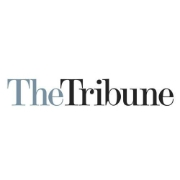 "The trade group Colorado Alliance of Mineral and Royalty Owners (CAMRO) says Colorado could be liable for $26 billion owed oil and gas rights owners if oil and natural gas drilling setbacks are increased by 500%. That mind-boggling number was put forth as the environmental group Colorado Rising gathers signatures in support of its statewide ballot initiative that would place new restrictions on oil and gas drilling. The ballot measure would increase the required minimum setback between occupied buildings and new wells to 2,500 feet from the current requirement of 500 feet, Kallanish Energy learns." 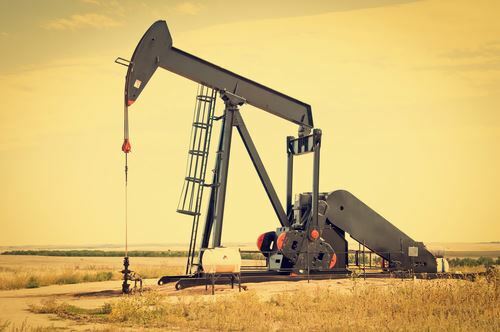 "A statewide ballot initiative to widen the buffer between oil and gas drilling and development could cost $180 billion in lost petroleum production and $26 billion in lost royalties in northeastern Colorado alone, a group representing mineral rights owners said Tuesday. Statewide Initiative 97 would require new wells to locate 2,500 feet or more from homes, schools and water sources, an expansion of the current buffer of 500 feet or 1,000 feet. “That 2,500-foot setback would eliminate oil and gas production in the Wattenberg,” argued Neil Ray, president of Colorado Alliance of Mineral and Royalty Owners (CAMRO), which commissioned Netherland, Sewell & Associates, a petroleum consulting firm, to conduct the analysis. As concentric circles are drawn around the areas where drilling would be off limits, including waterways, they would overlap and effectively leave no viable areas available to host well pads, Ray said." Video by Denver 7: view the article here. "An oil and gas advocacy group said Tuesday that Colorado has billions of dollars' worth of petroleum still in the ground, and warned that taxpayers could face huge compensation claims if voters ban drilling. At least five oil and gas measures have been proposed for the statewide ballot this fall, although none appears to impose an outright drilling ban. The admonition from the Colorado Alliance of Mineral and Royalty Owners (CAMRO) was a salvo in Colorado's latest skirmish over who should regulate the oil and gas industry, and how much." "DENVER -- An oil and gas advocacy group said Tuesday that Colorado has billions of dollars' worth of petroleum still in the ground and warned that taxpayers could face huge compensation claims if voters ban drilling. The admonition from the Colorado Alliance of Mineral and Royalty Owners was a salvo in Colorado's latest skirmish over who should regulate the oil and gas industry, and how much. 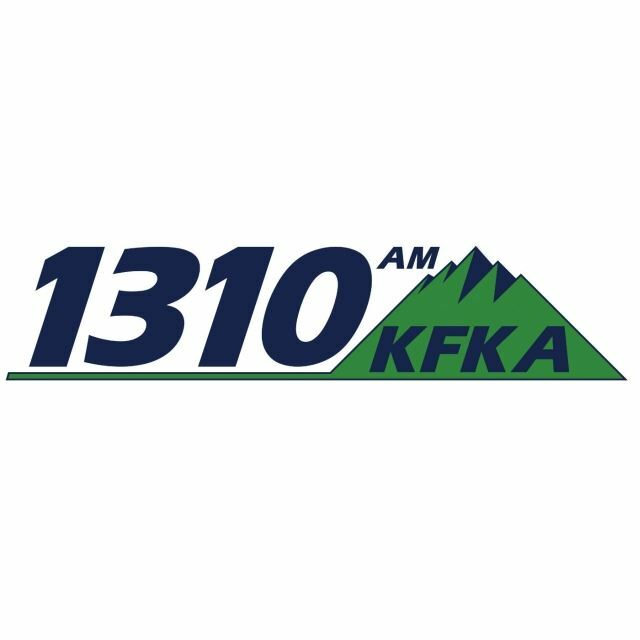 "Not only do these estimates represent a staggering value that could be taken without compensation from mineral owners by proposed ballot initiatives, but they represent funds taken from tax coffers that fund schools, roads and other community services that we all value," Neil Ray said, president of the royalty owners group."" "NSAI report puts estimate of lifetime EUR for the Wattenberg at nearly $180 billion Northern Colorado's Wattenberg field has been a prolific producer of oil and natural gas for decades. Like other basins, the area's production accelerated significantly when hydraulic fracturing and horizontal drilling came to the DJ Basin a dozen or so years ago. 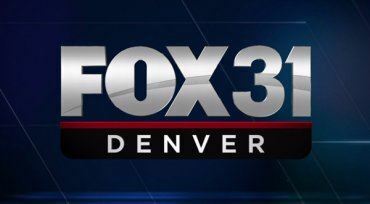 But there are proposed ballot initiative petitions being circulated this summer and a court case awaiting final outcome in Colorado that could result in shutting out large areas of the state." "As Colorado Rising gathers signatures in support of its statewide ballot initiative for 2,500-foot oil and gas setbacks, the Colorado Association of Mineral and Royalty Owners, which represents mineral rights owners in Colorado, is letting others know that such a setback is not in the best interest of the state. The current setback requirement is 500-feet. The impact of Initiative 97, said Neil Ray, president of CAMRO, would be huge for Colorado's 600,000 mineral rights owners. The organization released a report on Tuesday that showed untapped minerals in Colorado's Wattenberg Field, which includes much of Weld County, could have an expected ultimate recovery of nearly $180 billion dollars over the life of the field. Royalties for mineral owners alone would come to $26 billion dollars." "DENVER – The Colorado Alliance of Mineral and Royalty Owners (CAMRO) released a report prepared by Netherland, Sewell, & Associates showing that untapped minerals in Colorado’s Wattenberg field could have an expected ultimate recovery of nearly $180 billion over the life of the field. Royalties for mineral owners alone would come to $26 billion. This means that the cities and counties in the Wattenberg field, or the State of Colorado, that enact bans on developing minerals in the Wattenberg field could be on the hook for over $26 billion from successful takings claims, or just compensation for the public use of private property." "The natural gas and oil industry not only creates jobs and generates tax revenues in Colorado, but also has played a role in lowering energy costs as well as emissions from power plants, according to a report from an energy industry trade group. “Colorado’s development of natural gas and oil provides very real economic opportunity, and it is essential to creating jobs and generating much-needed revenue for our government. The low energy costs that have resulted from increased development have also lowered energy costs for consumers and businesses,” said Tracee Bentley, executive director of the Colorado Petroleum Council." “The Title Board should never have approved proposed initiative 97, as it violates the single-subject and clear title requirements," Ray says in a statement sent to Westword. "In addition, the refusal of the state of Colorado to attach an appropriate fiscal impact statement despite information available violates state statute. Beyond the obvious legal issues with this ill-conceived proposal, it would essentially eliminate natural gas and oil development in Colorado. That translates to the destruction of 140,000 jobs, elimination of $217 billion in economic activity over the next 15 years, and prevention of mineral owners from developing their minerals." Rulings by judges in Garfield County have resulted in Colorado oil and gas regulators being asked to resolve disputes between energy companies and mineral owners over royalty payments. The rulings run counter to some others in Colorado, raising jurisdictional questions over whether the agency or courts should handle such disputes. Traditionally they've largely been dealt with in the courts, where in Garfield County thousands and sometimes millions of dollars have been awarded to mineral owners over the years in connection with claims of improper deductions taken by oil and gas companies in determining royalty payments. 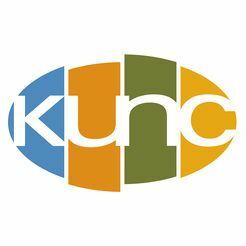 "The issue is whether the Colorado Oil and Gas (Conservation) Commission should have primary jurisdiction over these royalty underpayment claims," said George Barton, a Kansas attorney handing numerous current claims in Garfield County against Antero Resources and Ursa Resources, which purchased Antero's Piceance Basin assets several years ago. "We strongly believe that the commission does not have jurisdiction over the claims." He’s genuinely amazed at technological innovations like horizontal drilling. And he takes pride in his family’s history in the oil and gas business — but he admits the political environment has shifted. Ray generally supports Colorado’s strict drilling regulations, but he also worries about further regulation based less on science and more on fear. Ray sits on the board of Vital for Colorado, a group backed by the drilling industry that spent big on recent municipal races in Broomfield and Aurora and elsewhere. As referenced in the movie “There Will Be Blood,” imagine if you were drinking a milkshake and someone grabbed a straw, put it in your drink, and started drinking, too. It would be shocking and elicit feelings of unfairness — but, that’s my milkshake, you would think. This is what statutory pooling — also known as “forced pooling” — protects against, with the milkshake being a mineral deposit like natural gas or oil. Statutory pooling is a misunderstood concept in Colorado that helps protect property owners, especially mineral owners. Colorado’s pooling law affords the minority mineral interest owner certain protection that if they suspect that their minerals are being drained, they can request a hearing before the commission and, by proving the fact, force their way into a pooled unit. Without statutory pooling, every tract owner would have the right to drill a well in order to offset drainage of their minerals by adjacent wells. Leaders of a group representing owners of mineral and royalty rights in Colorado have bolted from their national organization, which plans a push to retain its members in the state. The board of what was the Colorado chapter of the National Association of Royalty Owners (NARO) voted to separate and register with the state as the Colorado Alliance of Mineral and Royalty Owners (CAMRO). “We didn’t feel like they (NARO) had enough horsepower to deal with the messaging required in the state of Colorado,” said Neil Ray, president of CAMRO. A new organization has been formed to exclusively represent Colorado Mineral and Royalty Owners called CAMRO, Colorado Alliance of Mineral and Royalty Owners. CAMRO was formed as a result of a long-running displeasure with the policies of the National board of the National Association of Royalty Owners. After trying to resolve their concerns with the national organization, the NARO-Colorado board voted to take the organization in a different direction and has amended and restated their articles of organization and filed them with the Colorado Secretary of State disassociating the NARO-Colorado chapter from NARO-National. The Glenwood Springs Post Independent editorial board recently referenced the value of local drilling and natural gas production within the narrow confines of creating electricity. The region’s natural gas industry can win the debate over whether to drill or not by expanding this debate and disallowing narrow discussions about the fuels’ importance. Only speaking about natural gas in relation to creating electrons misleads the public about what natural gas is actually used for and why its foundational to democratic society.